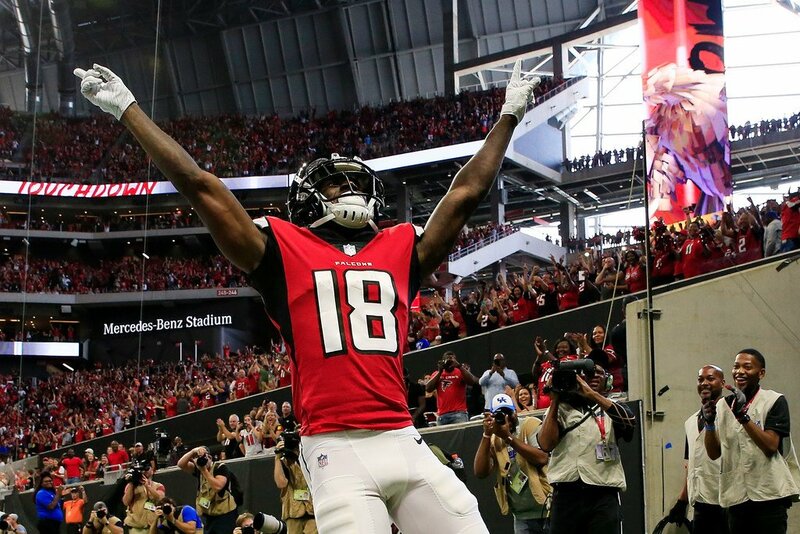 In a game in which Drew Brees set the NFL record for completions in a career (6,301), Falcons’ rookie receiver Calvin Ridley was breaking records of his own. The first round pick out if Alabama become the first rookie in Atlanta Falcons history to catch three touchdowns in a game. The phenom did it in about two in a half quarters, so there could be more to come for Brees and Ridley. Calvin Ridley is the first Falcons rookie with 3 TD catches in a game and the first Falcon to do so since Alge Crumpler in 2006.